Do you remember how you obtained your homeowners insurance policy? Was it through your realtor? Your builder? Not sure? You’re not alone. Most homeowners insurance policies are purchased without much consideration. There are so many things to worry about during the home buying process, most home buyers just accept whichever is the least expensive and most convenient. I recently had a client come in and ask me to take a look at the policy he received through the builder’s “insurance agency”. One look at this policy, and it was obvious that the agent and the client had not likely had as much as a single conversation. On the one hand, he was underinsured on his home, on the other he was paying for coverages that were completely irrelevant to him. His homeowners insurance policy was all wrong for him. I’ve also had many clients ask me to compare the coverage and cost of homeowners’ insurance quotes presented by their realtor, lender, or builder recommended agents. One I reviewed recently showed an incorrectly rated roof and a replacement cost that was too low by $100,000! If that homeowner had a total loss, where would that extra $100,000 come from? How would they rebuild their home? They came dangerously close to signing on to a policy that did not provide adequate coverage. If you can’t remember how you came about that insurance policy you are paying for every year, it’s time to call me for a review. Just because your mortgage lender accepted the home insurance policy as part of your closing package, does not mean that the coverages are right for you. They have certain criteria that need to be met when they are checking off the “insurance” box. They are not looking at coverage as it pertains to you, nor are they usually able to decipher the coverages and endorsements. Everyone that you meet in the home buying process is looking out for his or her own interest in the transaction. Hopefully you are fortunate enough to have quality professionals looking out for you, however most are there to complete the sale. I am most likely the only one in that process that you will continue to have a relationship with after the sale is done. It’s important to have a conversation with a licensed Florida agent, who is looking out for your best interest. How could an agent who lives in Kentucky, working for an agency based in California possibly know what is best for you? You’re a DeLand local (or a DeBary, Lake Helen, Orange City, Deltona local)! Central Florida is unique in it’s terrain, climate and construction practices. I don’t write business in Ohio, I write business here in DeLand, in our local community. Even though your insurance is part of your mortgage payment every month, the insurance portion is not written in stone. Your lender pays your insurance and tax bill out of your escrow account. If you experience an increase or decrease in either of those components, you will be billed or receive a reimbursement for the difference. 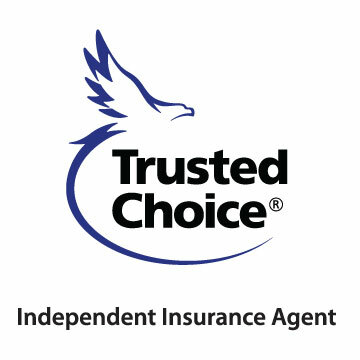 I specialize in helping you make the switch to a company or policy that gives you the best coverage at the best price. It’s my business, and I do it every single day. Don’t make the mistake of thinking that you can’t switch just because your insurance is paid from your escrow. I recently saved a client $1500 by reviewing and moving her home insurance policy. $1500 annually. I am not exaggerating. She was paying $2900, and I was able to find her better coverage for $1380 per year. I can’t promise you those results, but I can promise that I will work hard to find you the best bang for your buck. Call or come by our office in Victoria Park, DeLand, FL and let’s see what we can do for you. Affordable Coverage. Exceptional Customer Service.